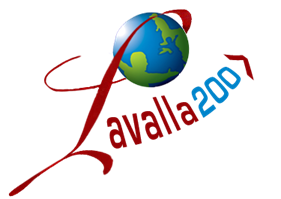 The Project Lavalla200> is a proposal of the General Council to offer brothers and lay people an experience of living together in communities of different cultures during a period. One of them is in Romania and it started in October last year. Four Marists, plus one as a gift: this is the Lavalla200> community of Moinesti. The four are Brother Barsen Garcia from Peru, Spaniard by birth, Brother Mario Meuti from Italy, Francisco Decezaro and Nanci Prochnow from Brazil, who have been married for four years. 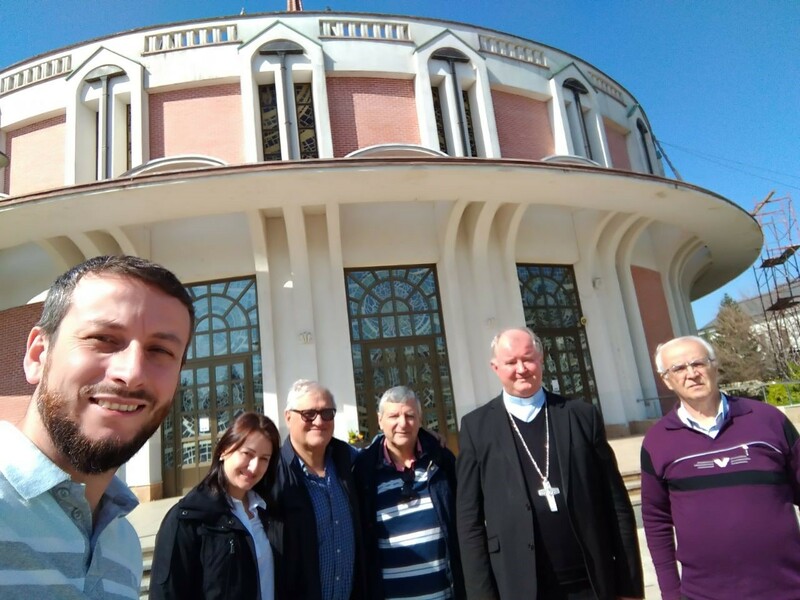 The fifth member is Brother Antolin Santos, who has lived in Romania since 2000 and he has been “handed over” to the Moinesti community for one year, until June. Without him, some practical issues would have been very difficult, establishing connections, communicating... because none of the others knows the Romanian language. Providence allowed them in early September to find a large house for rent, and the community was established in October 2017, obviously thinking of all of them. On the other hand, the process to obtain a long-term visa was very long for the two Brazilians: each week they asked for a new document, then the Consul was on vacation, the invitation to go to the Romanian embassy in Peru, which after 45 days, got back in touch saying that they could not grant the visa... Almost six months of waiting, but Francisco and Nanci arrived finally on Feb. 24, 2018. During the first year, the project of this community was very simple: to learn the language and to explore the territory, so that in the second year we could envision the new Marist work. Reality often turns out to be a bit more complex: the idea of learning an “easy” language soon died out after a week. Jeff Crowe and Angel Medina realised this during their visit in March and encouraged the community to find ways to practice the language on a daily basis, which is impossible at home. And then they contacted other religious communities: the Sisters of Maria Bambina, who in Faraoani, near Bacau, have a family home and said they were ready to receive someone, in fact, that they were happy to have a male figure. And then a trip to Iasi (the second most important city in Romania, three hours from Moinesti) with two objectives: to appear before the bishop and to meet the Brothers of the Christian Schools, who had invited them several times. 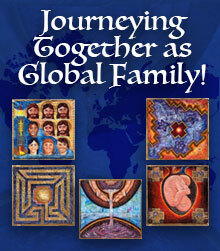 After this meeting, they reached the following decision: Barsen, Francisco and Nanci were to move to Iasi. There, in addition to the hospitality of the Lasalle brothers, they continue the language school with a new teacher, who has a lot of experience, speaks perfect Spanish and is very helpful in explaining the linguistic dynamics. In Iasi, in addition to practicing Romanian at home, they are present in two centers where they perform various activities with children during their spare time. This experience of “semi immersion” will continue until the first week of July. Semi-immersion, because every weekend the community returns home to be together, but they return especially to continue relations with the territory and the authorities of Moinesti. The relationship established with the mayor and with the parish priest of the Catholic Church has been excellent: it was they who welcomed the Brothers during their first visit in March 2017 (Brother Antolín Santos Illana and the provincials of Mediterránea and Ibérica). They came upon the request of the Bishop of Iasi. 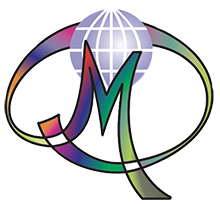 During these last few weekends, the community has had several meetings with the people in charge of the municipality’s social services and, with their help, they know the reality of Moinesti, beyond what it seems at first sight ... and they are starting to imagine their immediate future. There are still not enough elements to make decisions and, hopefully, there will be more elements in the coming weeks. 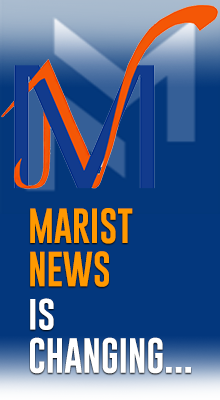 However, they agree that it is time to choose a neighborhood, one which they already know of and in which they can envision a possible Marist work. They also plan to establish the community’s house there as soon as possible to be a “presence” among the people and not just external visitors.